Brazil has a very sophisticated and solid banking system. As a very important component in fostering economic growth, the Brazilian banking industry and, consequently, Brazilian banking regulation, are constantly developing, providing local market participants with the tools required to enable them to structure complex and innovative products. Banking regulation has played a crucial part in setting the limits and procedures that allow local players to operate in one of the most important markets in the international economy,2 ensuring a secure environment for investors and for the public in general. Local regulators do not limit their activities to the issuance of rules and guidelines for the banking industry; they also closely supervise market participants to verify whether regulatory requirements are being duly complied with. An example of this practice is the extensive amount of information that must be provided by banks and other entities to the regulators, sometimes several times on one day. As a result of this constant verification, in the past few years the Brazilian banking industry has not seen any unpredictable failing of local banks, as the Central Bank of Brazil (the Central Bank) has intervened prior to the severe deterioration of a local bank. Banco Azteca do Brasil SA, in 2016, Banco BVA SA, in 2014, and Banco Cruzeiro do Sul SA, in 2012, are recent examples of intervention and subsequent extrajudicial liquidation of local banks, which, even though it did not completely eliminate it, did help to reduce the effects of insolvency on stakeholders and mitigate the systemic risk that could arise thereunder. The Brazilian banking system also provides mechanisms for liquidity problems faced by financial institutions. 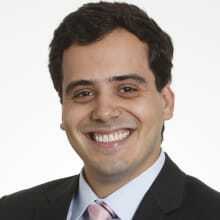 For instance, in the last quarter of 2015, Banco BTG Pactual SA (BTG Pactual), the eighth-largest Brazilian bank by total assets,3 was assisted by the Credit Guarantor Fund (FGC), a private non-profit organisation authorised to be incorporated by the National Monetary Council (CMN) and composed of local banks that was originally intended to protect investors of insolvent financial institutions. At the time, FGC made a credit facility of 6 billion reais available to BTG Pactual, which, among other measures taken by the bank, helped the institution overcome its liquidity crisis. In addition to the precautionary and reactive measures adopted by local regulators to prevent insolvency scenarios, the applicable rules also enable Brazilian banks to issue several types of funding instruments in Brazil and abroad to finance their operations, thereby maintaining acceptable liquidity levels. This variety of instruments is a result of market demand and a positive response by regulators to the needs of market participants, which have recently resulted in new regulations permitting the issuance of new forms of funding instruments, as further addressed in Section V.
By doing business in such a regulated but rather secure financial environment, Brazilian banks have been able to succeed and, many times, foster results in the middle of the economic crises that Brazil has faced in the past. An important aspect to consider when discussing banking regulation in Brazil is that there is no legal definition of ‘bank’ under Brazilian law. Federal Law No. 4,595, of 31 December 1964 (the Banking Law), which sets forth the basis of the national financial system (SFN),4 defines in Article 17 the term ‘financial institution’ as those public or private companies whose principal or secondary activity is the collection, intermediation or investment or custody of their own or third-party funds. It is therefore left to local regulators to determine the types of financial institutions and the activities that may be performed thereunder. savings: federal and state-owned financial institutions very similar to commercial banks, which accept savings from individuals by means of deposits in checking accounts for a fixed term or in savings accounts, provide loans and perform various services in the public interest, such as the receipt of federal taxes and charges. All such types of institutions are highly regulated. 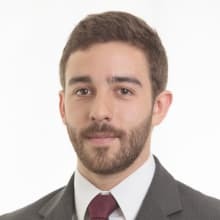 Different from individuals or corporations, which under Brazilian civil law are authorised to practise any act that is not expressly forbidden, regulated entities may only perform activities that have been expressly authorised by law or regulations. As such, the role of regulators has become very important in relation to this type of activity. The CMN was created by the Banking Law and is the highest authority in the Brazilian financial system. Among the CMN’s responsibilities are supervising the monetary and currency exchange policies for the purpose of the economic and social development of Brazil, as well as operating the Brazilian financial system. Among its duties, the Central Bank has the obligation to assure the stability of the purchasing of the national currency and the solidity of the national financial system. The Banking Law granted powers to the Central Bank to implement monetary and credit policies issued by the CMN, and to regulate public and private financial institutions and payment arrangements, arrangers and institutions. The Central Bank is responsible, inter alia, for exercising control over credit and foreign capital, receiving mandatory payments and voluntary demand deposits made by financial institutions, engaging rediscount transactions and providing funding to financial institutions, as well as exercising its function as the depository of national gold and foreign currency reserves. It is also responsible for controlling and approving the incorporation, functioning, transfer of control and corporate reorganisation of financial institutions and payment institutions. The third regulator, the CVM, was created by Law No. 6,385, of 7 December 1976 (the Capital Markets Law), which regulates the securities markets in Brazil. As securities activities are strictly connected with banking activities, especially investment banking, the CVM also has an important role as regulator of the banking industry. Pursuant to the Capital Markets Law, the CVM shall implement policies pertaining to the organisation and operation of the securities industry. Accordingly, the CVM’s responsibilities encompass the regulation and supervision of all securities activities, including issuance, distribution and trading of securities; organisation and functioning of stock exchanges; and practices in the management of securities portfolios and their custody. As indicated above, the Central Bank is the main regulator of banking activities, as it is responsible for supervising the banking activities of local banks and financial institutions. That supervision relies on the following principles: supervision focused on risk, continuous supervision and transparency. Inspection is an essential element of the supervision process to assess the economic and financial situation of supervised entities, and their management and compliance with the applicable laws and regulations. It aims to identify the relevant risks of financial institutions and evaluate their respective controls. dissemination of the Brazilian supervision to the international context. In addition to physical supervision, financial institutions are subject to regular reporting requirements to the Central Bank. Several types of detailed reports and financial information are submitted by local institutions to the Central Bank, enabling the authority to keep a very close eye daily on the financial situation of the market players. In addition to the reporting and inspection requirements, the applicable rules are very restrictive on the management of banks. Prior to a final appointment as administrator of a financial institution, individuals must submit an exhaustive list of documents, information and declarations to the Central Bank, which may even prevent a person from being nominated if that person does not have a good reputation. Pursuant to the organisation of a financial institution, it is important to highlight that with few exceptions, a financial institution, such as a bank, must be incorporated as a sociedade anônima, which is the corporate form that most closely resembles a joint-stock company or corporation. The legal requirements pertaining to joint-stock companies are governed by Law No. 6,404, dated 15 December 1976 (the Corporations Law). Joint-stock companies are managed by an executive committee and, if applicable, a board of directors. In addition, a board of auditors may be set up, either provisionally or permanently, to inspect the activities of the other management bodies. The executive committee and the board of auditors must be composed of individuals residing in Brazil and meeting the requirements prescribed by law. Members of the board of directors do not need to reside in Brazil. Members of administrative bodies of financial institutions are subject to civil liability, similar to the potential liabilities to which administrators of any company are subject, in addition to further criminal and administrative liabilities applicable to managers of financial institutions. In the ordinary course of the transactions of financial institutions, the civil liability of administrators (including directors and officers) is regulated by the Corporations Law. Article 158 of the Law provides that an administrator will not be deemed personally responsible for the obligations incurred on behalf of the company and on account of a regular act of his or her administration. However, an administrator will be responsible under civil law for losses caused by acts carried out with guilt or malice, and in violation of the law. An administrator will not be responsible for unlawful acts practised by other administrators except when, for connivance therewith, he or she fails to reveal them, or when, upon being aware thereof, he or she refrains from acting for the purpose of barring the practice thereof. There is joint liability of the administrators when the decisions are taken by collegiate bodies, such as the decisions taken by a board of directors. In this regard, any act or omission committed by a board is the personal responsibility of each of the members who form it, and to be exempt from any future responsibility, the dissident administrator should express his or her disagreement with the resolutions taken through a clear and express record in the minutes of the meeting of the relevant administrative body. An administrator who agrees with the practice of acts in violation of the law or a company’s by-laws will be deemed jointly liable for the losses resulting therefrom, and be compelled to provide indemnification for the losses caused. The Corporations Law imposes the duty of diligence on administrators of institutions during the performance of their duties, providing that they shall be guided by the care and diligence that every active and honest person uses in the administration of his or her own business. Administrators are otherwise subject to the duty of loyalty to their company, and must maintain reserve and diligence when dealing with the company’s affairs. There are also some exceptional rules. Pursuant to the terms of Article 40 of Law No. 6,024, of 13 March 1974 (the Bank Bankruptcy Law), administrators of financial institutions under a special administration regime, intervention or extrajudicial liquidation are jointly responsible for the obligations undertaken by the institution during their terms of office until those obligations are actually satisfied (that is, liquidated). Pursuant to the terms of the sole paragraph of the aforementioned provision, the administrators’ joint responsibility referred to therein shall be limited to the amount of the losses caused during their term of office. Administrative responsibility is subject to the same principles as criminal responsibility (i.e., it does not admit an agent’s strict responsibility). This means that a penalty shall only be imposed on a person in the event that the act – commission or omission – is described in the law or the normative rule issued by the applicable authority, in particular the Central Bank of Brazil, as being an administrative infringement. In fact, it is incontestable, in the opinion of jurists and case law, that administrative responsibility is always individual and subjective. Only those (the financial institution, administrators or controllers) who practise the punishable act (which may be an act or an omission) may be punished. 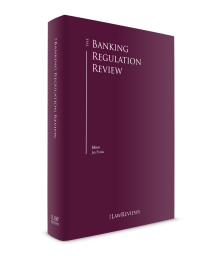 In March and October 2013, the Central Bank published a set of resolutions and official letters relating to the adoption of the Basel III global standards of capital requirements. The new rules aim at increasing the capacity of financial institutions to absorb shocks, increasing the strength of the financial system and promoting sustainable economic growth. By this set of rules, financial institutions may determine presumed credit based on the provisions made for doubtful receivables in each calendar year, whenever credits arise from temporary differences resulting from provisions for doubtful receivables existing in the preceding calendar year, and from the balance of the accrued fiscal losses of the preceding calendar year. New rules were also issued concerning financial bonds pursuant to which companies shall compose the prudential consolidated balance to be used in assessing the capital and requirements as well as the possibility for the Central Bank to limit payment of dividends by financial institutions in the event that the latter should disregard the prudential requirements defined by the CMN. The implementation of the new capital structures in Brazil began on 1 October 2013 and shall follow the agreed international time frame until the conclusion of the process on 1 January 2022. Changes regarding the capital ascertainment for credit risk that do not result in additional capital and that can easily be implemented by the institutions became effective as of the issuance of the new rules. The Bank Bankruptcy Law specifically governs the insolvency regimes of financial institutions. It essentially provides for two different regimes, both administratively conducted by the Central Bank: the intervention regime and the extrajudicial liquidation regime. If a financial institution is unable to stabilise and resume operations while overcoming a financial crisis, or carry out an orderly liquidation, the intervention may be converted into an extrajudicial liquidation or bankruptcy liquidation, as applicable. The Bank Bankruptcy Law stipulates that intervention may be decreed ex officio by the Central Bank for a period of six months (which may be postponed for an additional six months) when a financial institution suffers a loss due to mismanagement that generates risk for its creditors, or repeated breaches of banking laws are verified and not rectified after orders from the Central Bank. The intervention process is conducted by an individual appointed by the Central Bank. After the intervention period, the Central Bank may decide (1) to cease the intervention and allow the bank to return to its normal activities; (2) to decree the extrajudicial liquidation of the bank; or (3) to authorise the intervener to file for voluntary bankruptcy liquidation of the bank. d creditors are generally prohibited from enforcing and collecting their respective claims against the financial institution undergoing an intervention irrespective of the cause of the event of default and the nature of the claim. Extrajudicial liquidation of financial institutions may be decreed by the Central Bank ex officio or at the request of the intervener, in the event that the relevant financial institution, inter alia, (1) has its economic or financial conditions affected by relevant events, especially if it fails to punctually satisfy its commitments or could be declared bankrupt; (2) seriously violates legal rules and regulations; or (3) suffers a loss that subjects its non-privileged creditors to an abnormal risk. Extrajudicial liquidation is carried out by a liquidator appointed by the Central Bank, and may be defined as an administrative bankruptcy or liquidation proceeding. interruption of the satisfaction of any obligations assumed by the financial institution. In addition, interest ceases to accrue on the obligations assumed by the financial institution. with the decree of the entity’s bankruptcy when the assets of the entity are not sufficient to cover at least half of the non-preferred credits, or if there is evidence of bankruptcy crimes. As has been stated, banking activities are highly regulated and require local financial institutions to comply with the extensive regulations issued by the CMN, the Central Bank and the CVM. An important aspect that local banks must observe is banking secrecy. Banking secrecy and confidentiality have always been of major importance and are protected by the Brazilian Federal Constitution, which determines that intimacy and private life may not be violated. Exceptions to this constitutional right can be resorted to only in extreme cases, and as a rule require a judicial order. Banking secrecy was regulated in 2001 by Complementary Law 105 (the Bank Secrecy Law), determining that financial institutions should maintain secrecy in all their passive and active transactions, as well as in any services rendered. The Bank Secrecy Law, however, granted tax authorities a special authorisation to obtain banking information in the event that an administrative proceeding had been initiated. This exception was highly debated and discussed in a series of lawsuits contesting the constitutionality of referred permission, as it would, according to the arguments presented, result in a breach of the constitutional intimacy and privacy rights of individuals, among other things. In February 2016, however, the Brazilian Supreme Court declared, under a majority of nine votes in favour and two votes against, the constitutionality of the authorisation for the Federal Revenue to access taxpayers’ financial information under the Bank Secrecy Law. The Brazilian Supreme Court interpreted that the referred-to laws determined the sharing of information by the Central Bank and the Federal Revenue, but maintained secrecy obligations by both parties, which should not be considered a breach of the individual’s rights. Even in situations in which a financial institution is authorised to breach confidentiality, all measures required for the defence of the interests of individuals must be complied with. Thus, institutions must show sufficient duty of care in selecting the information to be disclosed and verifying whether the legal requirements for the disclosure have been met. Funding of Brazilian banks is traditionally composed of cash deposits and time deposits. Other alternatives, such as the issuance of bonds in the international markets or other forms of cross-border funding, have also been broadly adopted, as interest rates in foreign markets have been historically lower than local interest rates. Nevertheless, to foster the funding of local banks and, especially, in an effort to reduce banking interest rates in Brazil (which are among the highest in the world), local lawmakers and regulators have created new instruments to provide new funding alternatives to local banks. In January 2015, Federal Law No. 13,097 was enacted, providing for the issuance of covered bonds (LIGs) in Brazil. This law is a conversion of Provisional Measure 656, issued by the federal government in October 2014. Widely used in sophisticated markets (such as in Europe and the United States), the LIG has finally been regulated, having been eagerly anticipated by the local market for a number of years, and is expected to reduce funding costs for institutions acting in the real estate market and, by extension, expand the availability of real estate credit at a lower cost to consumers. The main feature related to the LIG is the fact that the pool of assets (mainly real estate financing credits) backing the issuance of the LIG will be treated as a segregated pool of assets, by which the underlying credit rights as well as the other assets and rights relating to them will be kept separately from the issuer’s own assets. Hence, in cases of default, intervention, extrajudicial reorganisation or bankruptcy of the issuer, the non-commingling pool of assets will not be affected and will thus be earmarked solely for settlement of the debts owed under the corresponding LIG. If the pool of assets is not sufficient to settle all debts owed to the relevant investors, these will be entitled to enrol their outstanding credits in the bankruptcy estate ranking pari passu with the other unsecured creditors of the issuer. Another recently created funding alternative is the structured operations certificate (COE), which is similar to structured bonds negotiated in international markets. COEs are, pursuant to the applicable rules, certificates issued against an initial investment, and represent an indivisible group of rights and obligations with an income structure similar to derivative instruments. In addition to the application of local indexes, COEs may have foreign indexes applied as references to their remuneration. Thus, financial institutions may issue COEs based on, inter alia, variations in foreign currencies, stock or commodities prices. Although COEs were originally regulated in 2013, the rules relating to the public offerings of COEs were not enacted in their final form by the CVM until October 2015. As a result, we have seen an increasing offer of different types of COE in the local market since then. evidence of financial and economic capability. The acquisition of a controlling or significant interest in an existing bank also requires prior approval from the Central Bank and entails, basically, the same procedures. In addition to the ordinary documentation indicated above, the incorporation or acquisition of financial institutions by foreign entities or individuals must be submitted to the Presidency of the Republic for the issuance of an executive decree acknowledging the national interest underlying the proposed transaction. As a result, whenever a foreign entity intends to set up a financial institution in Brazil, or to acquire an equity interest in a domestic financial institution, the transaction may only be closed after the granting of a presidential decree. Local regulators have continued to push for modernisation of the applicable rules in order to provide local banks with viable alternatives to strengthen their liquidity and enhance their products portfolio. On the other hand, rules relating to administrative process have also been updated to enable regulators to enhance their surveillance and punitive powers over the local market. On 29 August 2017, the CMN enacted Resolution No. 4,598, which regulates the issuance of LIGs by multi-service banks, commercial and investment banks, credit, financing and investment companies, savings banks, mortgage companies, and savings and loans associations. This ruling is the final regulation resulting from the discussions that were initiated a few months earlier upon publication by the Central Bank of the Notice of Public Consultation No. 50, which enabled market participants to discuss the new ruling prior to publication. Resolution No. 4,598 provides rules on the limits for the assets underlying the LIGs by an issuer, general characteristics of the LIGs (such as form of financial remuneration and maximum term), the possible composition of the underlying assets portfolio, among other things. In addition, the issuers must nominate a fiduciary agent, which, among other duties, will have general powers to represent the investors that acquire the respective LIGs and the obligation to monitor the performance of the issuer in the scope of the asset portfolio’s management. Although the issuer cannot use the credits included in the asset portfolios, it may replace them, provided there is compliance with certain conditions set forth in Resolution No. 4,598. Additionally, on 21 December 2017, the Central Bank enacted Official Letter No. 3,872 to establish a minimum set of information that LIGs’ issuers have to disclose to investors. According to this new rule, the issuer must prepare a specific report at the end of each quarter to evidence the then current situation of its asset portfolio and of the LIGs guaranteed by it. Although the set of rules should be sufficient for the issuance of LIGs by local banks, no issuances have taken place in 2017, as market participants were still reviewing the effects of the new rules and studying the possibility of carrying out the first issuances. On 30 August 2017, the Central Bank published Notice of Public Consultation No. 55, disclosing to the market the draft of a resolution that intends to regulate the lending activities performed by the ‘fintechs’. This measure is part of ‘Agenda BC+’, the aim of which is to revise structural subjects of the Central Bank and of the SFN and was disclosed by the Central Bank in late 2016. Although several fintechs are already operating in Brazil by adapting to the existing regulations, the Central Bank has indicated it understands fintechs perform a specific activity and, thus, should be subject to specific regulation. 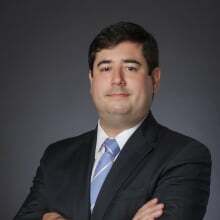 The idea, according to the Central Bank, is that the new regulation is less strict than the general regulation for local banks, especially in respect to capital requirements, in order to foster the fintech industry in an attempt to reduce spreads in Brazil, as credit is very expensive in the local market. Upon issuance of the final rules, fintech companies should be able to act in the money-lending business by themselves, which differs from the currently adopted business models in which fintech companies partner up with financial institutions. Within that scope, the Central Bank is proposing the creation of two new types of financial institutions that will only be able to operate through electronic platforms: (1) direct lending companies (SCDs), which would be entitled to lend money exclusively with funds provided by shareholders (i.e., would not be able to obtain funding from third parties); and (2) interpersonal lending companies (SEPs), which would work as pass-through entities between those who want to lend and those who want borrow (commonly referred to as ‘peer-to-peer’ lending). This proposed regulation is being looked on favourably by the Central Bank, since fintechs are playing an important role (and should keep increasing that role) in the credit lending business for micro, small and medium entrepreneurs. As proposed, both SCDs and SEPs will be authorised to provide ancillary credit services on a predetermined list (such as acting as the representative of an insurance broker in the distribution of insurance for lending transactions, or issuing electronic currency). On 13 November 2017, Law No. 13,506 was enacted, which, among other subjects, amends the then current rules for punitive administrative proceedings in capital and financial markets. This Law introduces significant changes to the rules through which the CVM and the Central Bank will be able punish, in the administrative sphere, offences within the capital and financial markets, respectively. For example, the Central Bank may now apply a fine of up to 0.5 per cent of the offender’s services and financial products revenue during the past year or up to 2 billion reais. This rule also includes changes to the definitions and the scope of application of several financial crimes and misconducts. Additionally, the CVM and the Central Bank may be able to regulate the application of the law by issuing their own rules in accordance to their respective areas of competence. The Central Bank published Official Letter No. 3,858, on 14 November 2017, which provides regulations on the criteria for the application of the administrative penalties set forth in Law No. 9,613, dated 3 March 1998 (also known as the Money Laundering Prevention Law). Included in this Official Letter, there are ranges of fines as penalties relating to (1) identification of clients and keeping records; (2) policies, procedures and internal controls; and (3) communication or reporting of suspicious transactions. On 23 January 2018, the Central Bank enacted Official Letter No. 3,875, establishing deadlines that must be complied with by the Central Bank within the proceedings regarding requests for authorisation for the constitution and operation, change of control and change of administrators, of financial institutions and consortiums. The Central Bank is attempting to stimulate the market by speeding up and giving greater predictability to the analysis of these requests. An important subject that has drawn the attention of regulators, market participants and investors in 2017 relates to the boom in the cryptocurrency market. Cryptocurrencies are not yet specifically regulated in Brazil, but in view of the increasing relevance of the subject, the Central Bank issued, on 16 November 2017, Communication No. 31,379, stating that cryptocoins are not deemed to be currency under Brazilian law and that market participants and investors should consider the risks of investment in these types of assets. Further, the Central Bank indicated that it will continue monitoring the subject and may issue specific regulations in the future. An important trend in the financial market relates to the dematerialisation of financial instruments. Laws and regulations relating to dematerialisation of bank credit certificates, credit slips6 and other financial instruments are being discussed by market participants and regulators, to enable the adoption of technology so as to increase efficiency and reduce costs, but not leaving aside the legal framework necessary to ensure credit protection. Since this seems to be a trend in the international markets and the Central Bank is sensitive to innovations that are internationally accepted, we believe it is likely that changes relating to dematerialisation will be further discussed and implemented in the near future. This type of modernisation also affects the fintech industry, which is likely to be formally regulated in 2018. As major technology users, it is likely that fintechs will take advantage of any innovation that is allowed, provided that credit recovery is not jeopardised in any manner. We understand, however, that local banks are also looking forward to adopting this type of technology, so implementation should be relatively quick once the applicable laws and regulations are enacted. Finally, an important point relating to the potential regulation of cryptocoins by the Central Bank or the CVM. Although there is no clear demonstration by any of these regulators about specifically regulating the matter, they have already stated that they have been studying the matter in detail and, thus, discussions relating to regulations may occur. There are also discussions about enacting new laws on the matter, which have already been the subject of some bill of laws in the house of representatives.7 However, it is not possible at this point to suggest whether such projects will develop in the near future or if discussions will be postponed pending further review by the regulators. It is clear, therefore, that discussions involving technology and its adoption by the local market is likely to be one of the main focuses of discussion in the next few years. 1 Tiago A D Themudo Lessa is a partner, Rafael José Lopes Gaspar and Gustavo Ferrari Chauffaille are associates and Vittoria Cervantes de Simoni is a legal aid at Pinheiro Neto Advogados. 2 In 2016, Brazil had the ninth-largest economy in the world by gross domestic product according to data provided by the World Bank on its website (data.worldbank.org/data-catalog/GDP-ranking-table). 3 Pursuant to 2014 financial data made available by the Central Bank. 4 Government-owned and private financial institutions form the ‘Sistema Financeiro Nacional’. Private financial institutions include commercial banks, investment banks, universal banks, exchange banks, credit, financing and investment companies, securities dealerships, brokerage firms, credit unions and leasing companies. 5 If a bank opts to also have an investment banking department, it will be subject to CVM (Comissão de Valores Mobiliários) regulatory authority with respect to its investment banking activities. 6 Cédulas de crédito bancários and duplicatas.